Bravery Boxes aim is to have a reward box in every children's oncology ward in the country. I really hope you can help spread the word and encourage your friends, family and readers to share a smile on social media and donate £2. September is Childhood Cancer Awareness Month. Bravery Boxes is a small charity that helps children with cancer get through some of the toughest and most painful times. By giving a child with cancer a treat from the 'Bravery Box' when they have to have an unpleasant procedure such as having a cannula or feeding tube put in, we hope to turn their tears in to smiles. For Childhood Cancer Awareness Month we want to get everyone smiling. 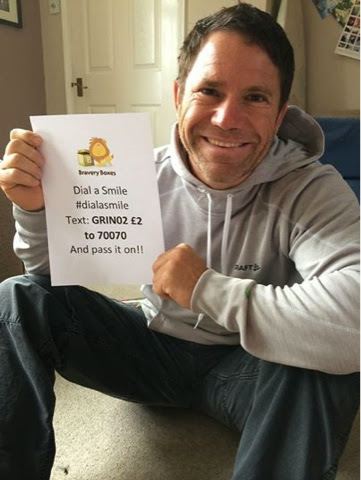 During the month of September we would like people to 'Dial a Smile' (#dialasmile) and to share their pictures on Facebook and Twitter of them smiling - the cheesier the better - and donate just £2 to Bravery Boxes by texting GRIN02 £2 to 70070 to make a difference today - and then nominate others to do the same. £2 will buy three or four treats to go in the box - that will be three or four children you can make smile through their tears. Bravery Boxes was started by a mum whose son was diagnosed with a rare life-threatening brain tumour. She could see how distressed he became when he had to have injections, blood tests and a myriad of other scary things, so she started to come prepared for these ordeals. After any kind of unhappy experience she would give her son a little gift or prize for being brave. The idea spread and she started raising money to fill a box so all the children on the ward could benefit. We now provide boxes for the paediatric oncology units at Addenbrooke's in Cambridge, and Alder Hey inLiverpool. It really does work!! Staff and parents tell us all the time what a superb idea it is and how much difference it makes to the children. Although childhood cancer is rare it is indiscriminate and approximately 1600 new cases are diagnosed every year. When it does happen it turns the world upside down of all those in that family. 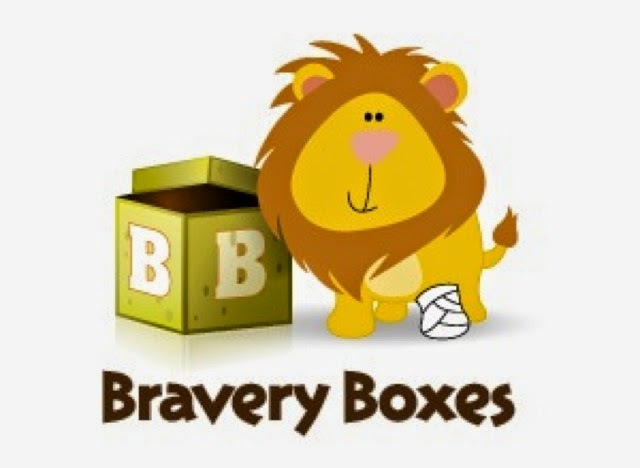 Bravery Boxes endeavours to not just help the sick child, but also any brothers and sisters who have to see their siblings going through this difficult time - so they can dip in to the box too when they need a bit of cheering up. It costs approximately £2000 to support a hospital for a year with Bravery Boxes in their inpatient and outpatients wards.